MANILA, Philippines – Powerhouse China got away from Philippines with a 2-point, 82-80 win in the 2018 Asian Games on Tuesday, August 21 in Jakarta Indonesia. Prior to the game, the Philippines was listed as the real underdog in its clash against the “Great Wall”. But when the ball was finally tipped in, Philippines looked too fierce and took the early lead over China. Asi Taulava perfectly contained Houston Rockets’ Zhou Qi under the basket but the 7’1” center found his way to score from the outside. Zhou’s 11 quick points placed his team ahead of Philippines with over 5 minutes left in the first. Team Pilipinas’ defense collapsed and paved a way for China’s double-digit lead for the first time in the game. Philippines trailed China by 8, 20-12 after the opener. Zhou Qi’s defensive presence made it harder for Philippines to score in the shaded lane. Qi’s 7’6” wingspan became a real problem for Coach Yeng Guiao as the lanky giant kept on swatting Philippines’ inside shots. Cleveland Cavaliers guard, Jordan Clarkson spent full 10 minutes on the floor with 5 points during the first quarter. Clarkson checked back in the second and ignited Philippines’ short scoring drive in the 2nd period. Philippines fared very well in the 2nd quarter especially in the defensive department. The nationals were able to trim China’s dozen-point margin to just 6. Jordan Clarkson wrapped up the 1st half with a long three pointer and lowered the lead to just 2 shots, 36-31. Clarkson had 12 markers while Zhou had 17 points after the first 24 minutes. China started to get aggressive in taking its shots from the inside and capitalized on its players’ height to beat Philippines. Team Pilipinas on the other hand, began to bucket more baskets from the mid range and the three point territory to keep the game close in the 3rd quarter. Jordan Clarkson and Christian Standhardinger teamed up and initiated Philippines’ offensive onslaught that resulted to China’s scoring decline. Philippines threatened to reclaim the lead after levelling the score at 55. Philippines had some good chances to retake the lead, but the Chinese players maintained their position ahead of the the Filipinos, 59-57 heading to the final quarter. China quadrupled its end-of-third-quarter lead as the 4th period unfolded spearheaded by Abudushalamu Abudurexiti. 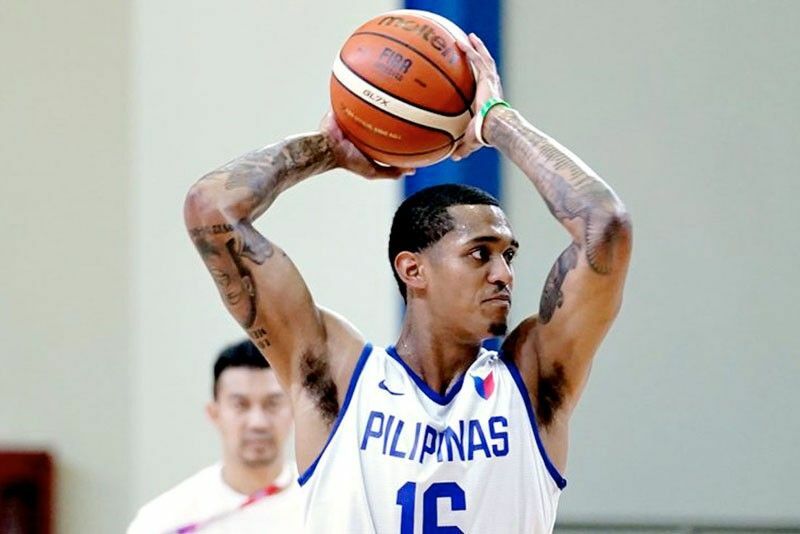 China ganged up on Jordan Clarkson and denied the Fil-Am guard a handful of good scoring opportunities but North Port star, Stanley Pringle took charge of the fourth and finally grabbed the lead from China. Less than a minute to go, game was tied at 80. Clarkson committed the foul and China sank the foul shots for the lead. Philippines had 13 seconds to win the game but Paul Lee missed a trey and China got away with a 2-point, 82-80 win. Philippines will still advance to the Quarterfinals but it will be against another Asian powerhouse, Team South Korea on Monday, August 27.